If you you pay attention enough to one of the buildings during your Hong Kong day trips, you may spot one or two buildings with a bamboo scaffolding around it. This is because in Hong Kong, bamboo scaffolding is used as the primary method to build/renovate buildings. When you see one during your private Hong Kong tours, you will be amazed how the scaffolder assembled each bamboo rod making sure everything is properly placed and safe that it can carry a legion of workers. If you happen to be in Hong Kong and you are looking for the perfect spot to have a fresh sea food, Lei Yue Mun is the BEST place to go. A fishing village with a slice of old Hong Kong in the modern city, this place became famous for seafood dining in the 1960’s . And the taste? It is very TASTY! Did you know, that Tai-O Heritage hotel is a former Police Headquarters way back 1900’s?. It is one of the earliest Police station in the New Territories which main focus is to fight piracy and smuggling. It was later converted to a hotel which is now what we know as the Tai-O Heritage hotel. This is one of the highlights of our Lantau Island tour and not to be missed. If you are on your Hong Kong tour, make sure that you add this on your Lantau island things to do list and you will surely have a fantastic time! If you happen to be in your Hong Kong day tours today, you probably might see people walking around with some paper offerings. This is because today marks the Ching Ming Festival or also known as Tomb Sweeping day for Hong Kong locals where people visit the tombs of their ancestors to clean the gravesites, pray to their ancestors, and make ritual offerings. You can ask your Hello Hong Kong tour guide during your Hong Kong tour. A great way of learning more about Hong Kong and it’s festivities. If you booked your car and driver Hong Kong for your sightseeing with your Hong Kong tour agency, ask to visit the Choi Hung Estate in Wong Tai Sin. The name translates to "Rainbow Estate" and indeed this example of one of the oldest public housing estates is rather colourful. So, if you are looking for a nice object for your photo memories of Hong Kong, ask your tour guide to take you to Choi Hung on your car tours Hong Kong. Let us help you plan your private Hong Kong tours. When you chose your Hong Kong tour agency, your private tour guide Hong Kong will present you an individual itinerary that is planned just for your interest. 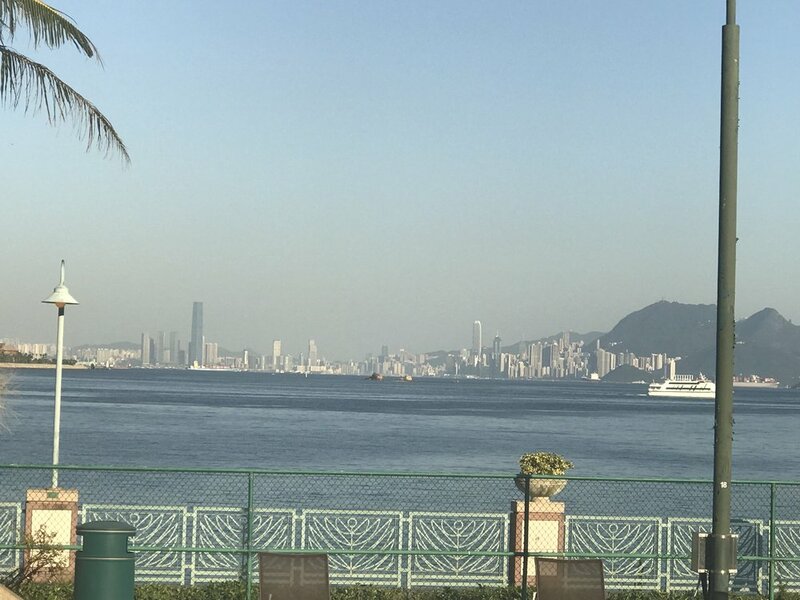 One of the things you could add to your Hong Kong private tours would be to find the best spot to take your very own photograph of the amazing Hong Kong skyline! Did you know that the Hong Kong Special Administrative Region has over +9,000 high-rise buildings, +1,500 of which are skyscrapers standing taller than 100 m (328 ft) with 350 buildings over 150 m (492 ft)? You will find out more interesting facts on your Hong Kong city tour! For all history buffs that are on a private car tour Hong Kong. How about a visit to the Cenotaph? 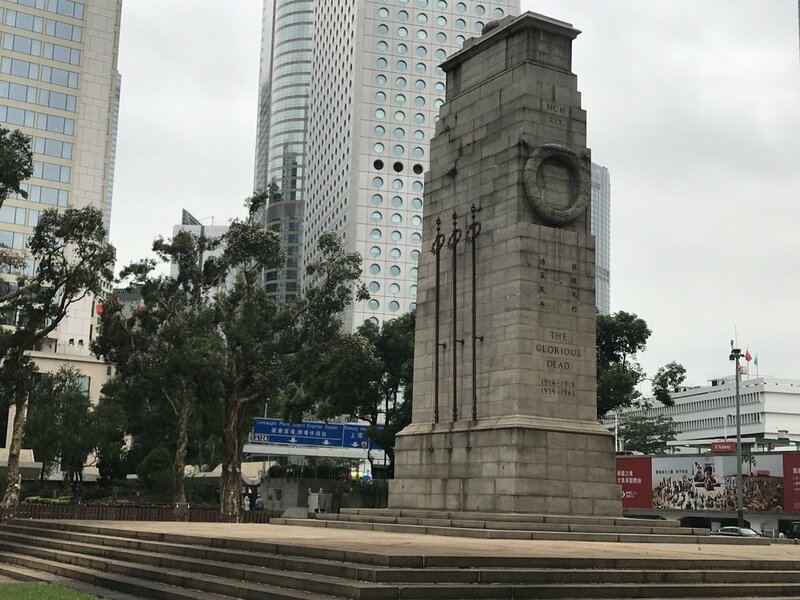 This war memorial was constructed in 1923 and is located between Statue Square and the City Hall, easy to reach with car and driver Hong Kong. It commemorates the dead in the two world wars who served in Hong Kong in the Royal Navy, British Army and Royal Air Force. Built in stone, it is an almost exact replica of the Cenotaph on Whitehall in London. Your Hong Kong tour agency can plan an itinerary for you around history with a stop at the Cenotaph on car tours Hong Kong.